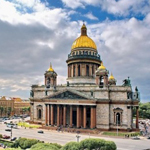 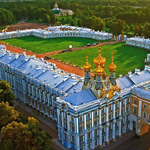 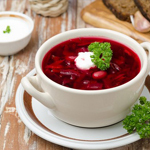 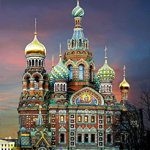 When you’re in port in St Petersburg, make the most of this sublime city with this 2-day shore excursion, with port pickup and drop-off both days, and overnight on your ship in between. 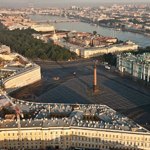 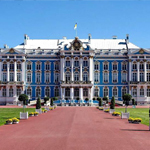 On the first day, take a comprehensive city tour, including a 2-hour visit to the stunning Hermitage art museum. 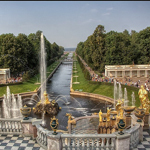 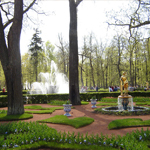 The next day, visit the opulent Catherine Palace, home of the legendary Amber Room, in Pushkin; and explore the fountain-laden Peterhof Palace, before seeing St Petersburg’s ornate metro stations. 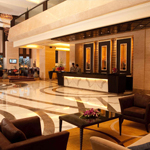 Numbers are limited to 16 for a personalized experience. 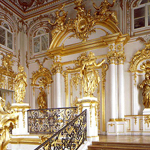 You visit the Hermitage Museum - Russia's best gallery of world art, one of the most prominent art museums in the world and definitely the main tourist attraction of St.Petersburg. 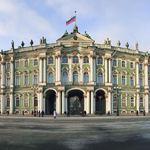 Nowadays, the Hermitage has about 2.7 million exhibits and displays a full range of world art from Ancient Egypt to early 20th century Europe. 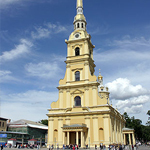 It includes works by Leonardo da Vinci, Michelangelo, Raphael, Titian, unique collections of Rembrandt, Rubens, French Impressionists.